Well, it’s that time of year again- we all have tremendous guilt (some more than others ;) ) about how many calories we’ve consumed over the holidays and are re-committing ourselves to doing better! For most of us, that includes eating less junk and more fruits and vegetables. Honestly- I don’t mind most fruits and veggies- I actually really like them! But the hardest thing about eating them is it’s so much easier to grab a processed granola bar or open a bag of chips rather than worry about washing and cutting and chopping, etc. If I could open a bag of fresh, washed, and prepared fruits and veggies whenever I had a whim of the munchies, I’d be much more likely to eat more! While we may not be able to open a bag of broccoli like we can a bag of chips, there are some tricks and hacks you can use to get as close as you can ;). *Learn how to cut them! I know, this kind of seems like- well, duh! But seriously, there can be more than one way to slice a fruit or veggie, and knowing the most effective way can help us dread it a little less and be a little more willing to cut up that pineapple ;). *Wash and cut everything at the beginning of the week. Or when you get home from the store. Like I said, the thing I hate the most about fruits and veggies are the inconvenience of preparing them! By taking an hour once a week to wash everything and get it cooked/sliced/chopped (whatever you need to do to get it ready to go! 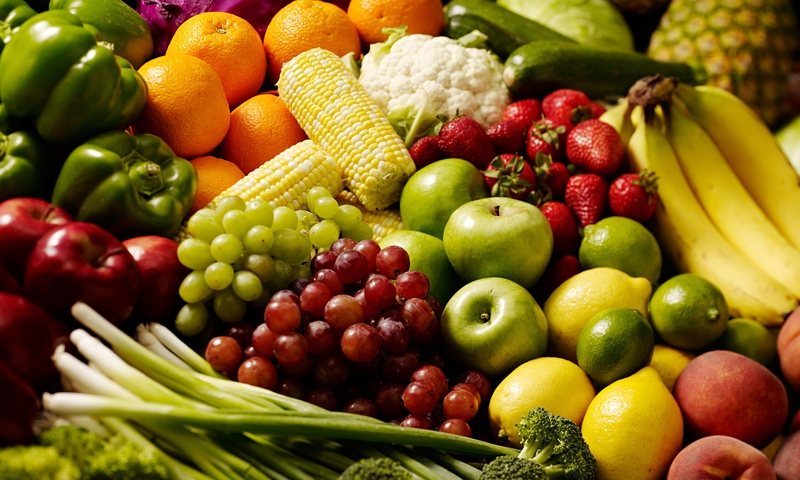 ), you’ll significantly increase your chances of eating more fruits and veggies! When that steamed broccoli is just as easy to eat as that bag of potato chips, you’ll be helping yourself out a lot! *With that said, learn the proper way to store fruits and veggies! With a little research, you’ll find that certain fruits/veggies will last longer in the fridge vs the counter, and there are many that you can freeze as well! And in some cases, just little tricks (like putting lettuce in a Ziploc bag with a paper towel) can greatly increase the time it will last in your fridge! This will help your hard work to last all week by helping those pre-cut veggies and fruits to last! *Start with things you like. Sometimes I have a harder time eating veggies because I start thinking about all the ones I don’t necessarily love (*ahem* asparagus*). However, start with ones you like to ease yourself into it! If you love carrots and broccoli, then stock up on those and eat those every day! While it may be healthier to eat a variety of vegetables, it’s still healthier to eat those carrots everyday instead of potato chips ;). Overtime, as your palate adjusts to eating more veggies, you can start introducing new vegetables- and you may find that you start liking more of them! *Be realistic. If you know you have a crazy week and won’t have time to make that fancy roasted vegetable dish you know is good for you but aren’t really looking forward to, then don’t even plan on it! Plan on simple, easy meals that will easily incorporate your veggies without extra hassle and time (aka salad ;) ). *If you can’t snack it, meal it! If you are really struggling to want to just grab a plain carrot for a snack, don’t let that stop you from eating any vegetables! Again, you can ease yourself into this. Start by adding veggies to foods you already like (red peppers to scrambled eggs, butternut squash to alfredo sauce, an extra helping of tomatoes to your taco soup). You can also just plan meals that generally involve a lot of veggies, like salads, smoothies, stir-frys, etc.